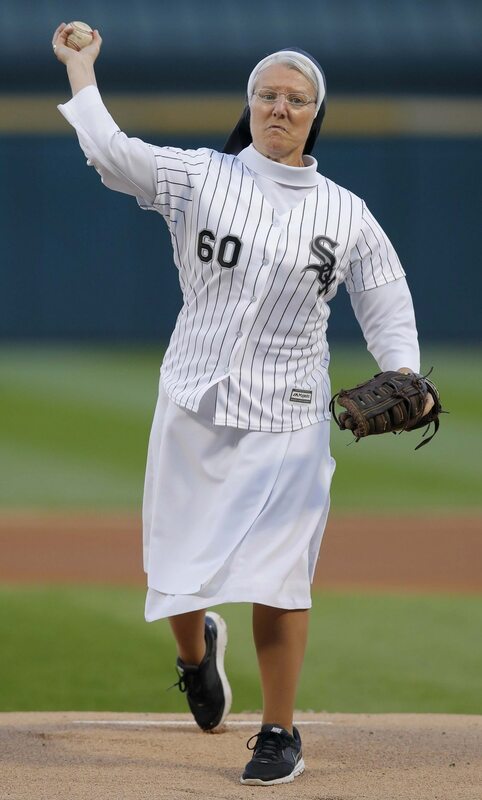 Sister Mary Jo Sobieck gained fame in 2018 with a dazzling first pitch before a Chicago White Sox game. She even earned her very own baseball card. And prior to Thursday’s game between the Los Angeles Dodgers and St. Louis Cardinals in St. Louis, the Marian Catholic nun showed off her arm again. For many people who throw out the first pitch at a baseball game, just getting the ball over the plate is a win. But that doesn’t seem to be the case for Sister Mary Jo. In fact, some pitchers may think about asking her for some pointers.